I’m one of the thousands of happy Windows 7 RC early adopters and it’s time for me to upgrade to Windows 7 Final version as Windows 7 RC is all set to expire on February 15, 2010. I had a free ride of Windows 7 all these days and today shelled out few bucks to get the best ever Windows operating system released by Microsoft. I’m using Windows 7 RC for several months and it has all the required software and configurations. So I want to just upgrade RC to Final version without loosing anything and chose the upgrade option. The installer popped an error saying i can’t perform the upgrade. What? I cant’ perform an upgrade is it? Oh that’s bad. This is not something I like or any other user as it’s very pain full to reinstall and configure all the required software on a fresh OS copy. 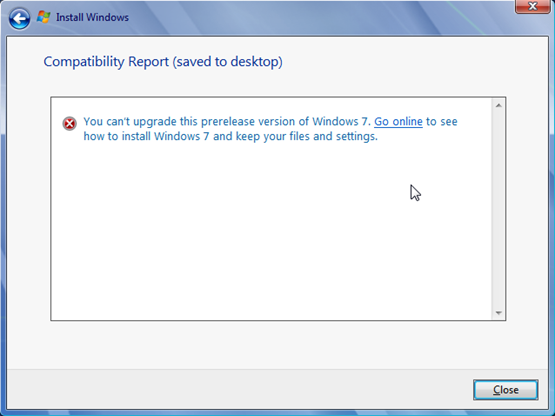 But luckily a quick search revealed very easy trick that allowed me to upgrade Windows 7 RC to Windows 7 Final (RTM). That’s all. 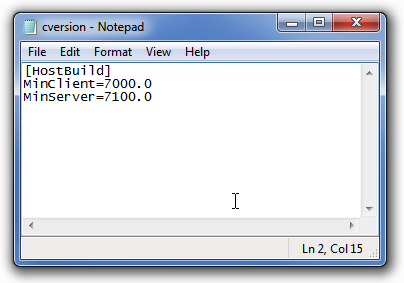 Now you can re-launch the setup.exe file to upgrade Windows 7 RC to Windows 7 Final. That’s easy right? Yeah. I feel good of saying ‘I’m a PC’. « iPad Fun Seems To Be Never Ending. Here is Another Video.